No serious attention has been paid to the development of the Niger Delta communities by the Federal Government as the biggest tier of government. Any visit to the Niger Delta communities, be it in Abia, Imo, Delta, Rivers, Cross River, Akwa Ibom, Edo, Ondo and Bayelsa states, would always provokes anger, sorrow and pain. It will only take a heart of stone to be indifferent to the devastation of the environment of the oil producing communities through the processes of oil exploration and exploitation, in the form of oil spillage, gas flaring and other sundry hazards. on river, how do indigenes of these communities get drinking water and water for domestic use? How do fishes and other creatures in the sea and river survive? Also looking at the communities, one could see the withered trees and vegetation from the heat of gas flaring, leaving one to wonder how farms survive in the face of heat from gas flaring. How do indigenes of these communities survive living in environments that have been figuratively condemned to “death” by the things that give the country wealth? The geese that lay the golden egg is, indeed, suffering to give Niger the oxygen it requires to survive. And the annoying thing is that some people are still angry that 13 per cent derivatives was approved for these oil producing states as a little succour to the pains they suffer. The question is: Would 13 percent derivatives compensate for a situation where oil exploration and exploitation have ruined the existence of a people, who are supposed to be blessed by God’s endowment? Is government, at all levels, not supposed to, in their little ways, take measures to evolve programmes that would, to a certain extent, give them hope? Of course, the answer to the last question should be obvious. Government ought to do things that would attempt to convince the Niger Delta communities that whatever sacrifice they are making is most appreciated. This could be done through development programmes like road construction, health care facilities, portable drinking water and other necessities of life. Unfortunately, the Federal Government has not fared well in this regard. No serious attention has been paid to the development of the Niger Delta communities by the Federal Government as the biggest tier of government. Many years after the commencement of the construction of the East-West road, in the Niger Delta, there is no end in sight for the completion of this all-important project. A good East-West road could have made movement in the Niger Delta states much easier. But it is still a dream that has not come true as successive Federal Governments have failed to give it the desired priority, including the one headed by a son of the Niger Delta. Also, the Federal Government is paying lip service to the clean-up of Ogoni, whose “commencement” was launched with so much noise and funfair. And there is no extraordinary project the Federal Government has specially initiated and executed in the Niger Delta to show that it appreciates sacrifices being made. However, if we overlook the failings of the Federal Government in the development of the Niger Delta, what would we say about the governments of these states? The governments of these states, who receive 13 per cent derivatives, which may not be enough, also have a role to play in the development of these oil producing communities. Therefore, what have the Abia, Imo, Rivers, Cross Rivers, Akwa Ibom, Delta, Edo, Ondo and Bayelsa governments done to lift the oil producing areas of their states? What has Abia State government done specially to develop the Ukwa area of the state? What has Imo State government done to compensate the Ohaji Egbema and Oguta areas for bearing the oil that gives it extra money? What have Rivers, Akwa Ibom, Bayelsa, Cross River, Edo, Delta and Ondo governments done for their riverine communities? What have these states done in terms of road construction, building of hospitals, provision of drinking water and other amenities? One asks this question because some oil producing states do not pay special attention to the communities that bear oil in their states. Put in another way, these oil producing communities are neglected and left to wallow in extreme poverty by their own people and government too. One’s recently visit to the riverine communities of Delta State is an eye opener to what a state government could do, in its own way, to develop the oil producing communities. It showed a government who understands the plight of the people and the essence of governance. It showed a government trying to do something to make a difference in the lives of people who, not for the fault of theirs, are in situation of devastation and near ruins. Many Nigerians have heard of the Gbaramatu Kingdom in Delta State. This is a kingdom that produced Chief Ekpemupolo Government, aka Tompolo, the Niger Delta militant leader who led a band of youths to protest the neglect of the Niger Delta region by the Federal Government. Tompolo hails from Okerenkoko, in Gbaramatu Kingdom, a sleepy community accessed through the sea. Nobody would believe that this community, until 2015, had no tarred/concrete road, no government health facility, except the one provided and financed by Tompolo, and no social amenities provided by government. 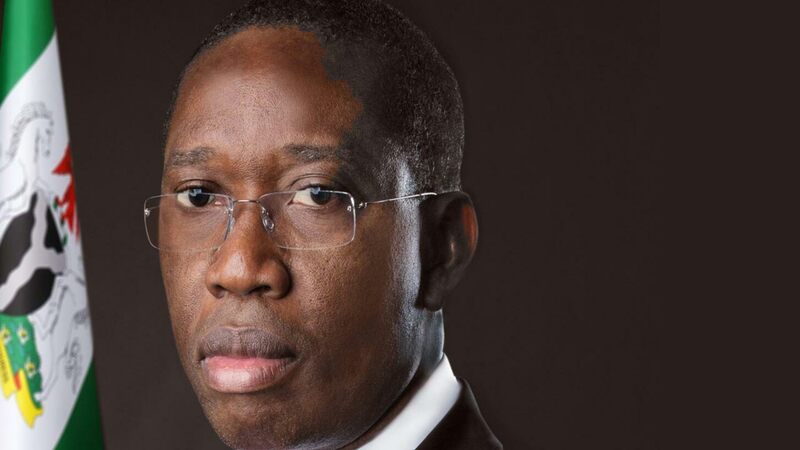 However, its fortunes are beginning to change as current Delta State governor, Dr. Ifeanyi Okowa, has tried to rewrite history. The Delta State government has built concrete road network in Okerenkoko. It is also building houses for the villagers to replace their dwelling places burnt and destroyed by the military during the search for Tompolo. In the community also, the Federal Government is establishing the Nigerian Maritime University. Governor Okowa is also constructing concrete road network in another community in Gbaramatu Kingdom, where the traditional ruler, the Pere of Gbaramatu, lives. The Delta State government is also doing same in other riverine communities like Burutu, Obotebe, Keremor, and Burutu-Forcados. Such efforts by Okowa is what other oil producing states need to do to touch the lives of indigenes of communities, which produce oil and give the states the status of oil producing. This is what all the nine oil producing states in Nigeria should do, as the combination of the developmental efforts of the Federal Government and state government would go a long way in giving the oil bearing communities a sense of belonging. One is not deceived by your intentional inclusion of Imo and Abia among the Niger Delta region.